For 200 years and counting, the iconic Lake George Steamboat Company has been a key part in the development of Lake George Village from a small community named Caldwell to the attraction it is today. Since 1817, a lot has changed in the region and within the company itself, but through it all, their steamboats have continued to cruise on the lake. Learn about the history of the company and its fleet in the series of articles below! 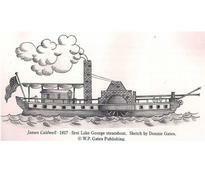 The Lake George Steamboat Company was incorporated in 1817, and their first boat, the James Caldwell, launched that year. 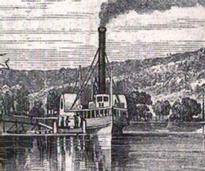 After the company retired The Mountaineer steamboat in 1836, they soon added the William Caldwell and John Jay to their fleet. 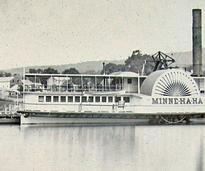 From 1857-1878, the steamboat company didn't just change owners, but they added two boats - the first Minne Ha Ha and the Ganouskie. 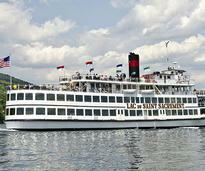 During the end of the 19th century, the Lake George Steamboat Company launched three new steamers on the lake. 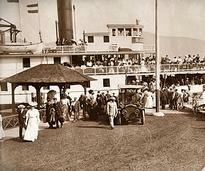 During the Roaring 20s and the Great Depression, the Lake George Steamboat Company saw some major changes. From 1950 to the present, new ownership at the company has led to new vessels and a rise in popularity in the 21st century.